Last year we explained how Thailand’s Foreigners’ Working Management (No.2) (2018)(ED2), which came into force on 28 March 2018, has significantly liberalized restrictions on foreign workers, and which you can read hereand here. However, in recent months we have noted two different articles by legal commentators that have clearly misunderstood the extent to which ED2 has made the labor law environment in Thailand more foreign friendly. One of the articles proclaims the “good news” that directors of companies that are exempted under the Foreign Business Act (1999)(FBA) pursuant to the Treaty of Amity and Economic Relations between the United States and Thailand (1968)(Amity Treaty) no longer require a work permit. For reasons we explain below, this is not true. The other article asserts that “in theory” directors of companies that are promoted under the Investment Promotion Act (1977)(IPA)and the Industrial Estate Authority Act (1979) (IEAA) are also not required to have work permits. For reasons explain below, this is also not true. rather than carefully reading and analyzing the relevant law themselves. So let’s do that. The following foreigners can now work in Thailand without a work permit: . . . foreigners who are representatives of a company holding a foreign business licenseunder the foreign business law of Thailand. Directors of a company are considered its representatives under Thai law and the current foreign business law of Thailand is of course the FBA. Section 8 of the FBA restricts “foreigners” from doing most businesses in Thailand without a foreign business “License” (as defined and detailed in Section 4 of the FBA). To obtain a License, Section 17 of the FBA provides that the applicant must apply for permissionby filing an application to the Cabinet of Ministers or the Director-General of the Department of Business Development. The Cabinet or the Director-General then will consider as to whether to give approval or grant permission within sixty days. In addition, Section 18 of the FBA provides that the Minister of Commerce may prescribe conditions to be observed by foreign business License holders such as: the ratio of the capital to loans for the operation of permitted businesses; the number of foreign directors who must have a domicile or residence in Thailand; or the amount of, and the period of time for maintaining, a designated minimum company capital in Thailand. This is the primary purpose of the FBA, to define who “foreign” business operators are, require that they have a License to operate their business, detail how they can obtain a License and the penalties if they operate such foreign business without a License. However, there is one other exception to the prohibition against foreigners operating a business in Thailand under the FBA. Section 4 of the FBA defines a foreign business operating “Certificate”, which is nota License, but which nonetheless allows foreigners to operate a business in Thailand. To obtain the Certificate, subject to Section 11 of the FBA, the applicant need only notifythe Director-General of the applicant’s accurate eligibility and will readily obtain a Certificate within thirty days. The provisions of section 5, section 8, section 15, section 17 and section 18 shall not apply to foreigners operating businesses specified in the Lists annexed hereto upon permission granted pro tempore by the Government of the Kingdom of Thailand. Foreigners operating businesses specified in the Lists annexed hereto by virtue of a treaty to which Thailand becomes a party or by which Thailand is bound in consequence of obligations therefrom shall be exempt from the application of the provisions of the sections specified in paragraph one and shall be governed by the provisions of and conditions set forth in such treaty, which may, inter alia, confer upon Thai nationals or Thai enterprises the right to operate businesses in the countries of nationality of such foreigners as a matter of reciprocity. Foreigners under section 10 who intend to operate businesses specified in the Lists annexed hereto shall notify the Director‐General in accordance with the rules and procedures prescribed in the Ministerial Regulation in order to obtain certificates, and the Director‐General shall issue certificates to such foreigners without delay but no later than thirty days as from the date of receipt of their written notification, unless the Director‐General considers that the notification is not in accordance with the rules and procedures prescribed in the Ministerial Regulation or that it is not in accordance with section 10, in which case the Director‐General shall notify such foreigners thereof without delay but no later than thirty days as from the date of receipt of their written notification. The certificates shall also indicate conditions prescribed by the Government or prescribed in the treaty. And this (as we previously detailed)is precisely what a company that qualifies under the Amity Treaty is. Thus, an Amity Treaty Company does notoperate its business in Thailand by holding a License; rather it does so by holding a Certificate, a completely different category under the FBA and one that is not excepted under Section 4(2)(8) of ED2. What about IPA and IEAA companies? In the case where the business of the foreigner who is promoted under the law on investment promotion or granted written permission for the operation of the industry or the operation of trade for export under the law on the Industrial Estate of Thailand or under other laws is the business specified in List Two or List Three annexed hereto, such foreigner shall notify the Director‐General in order to obtain a certificate. When the Director‐General or the entrusted competent official has examined validity of the investment promotion certificate or written permit, the Director‐General shall issue a certificate without delay but no later than thirty days as from the date of receipt of the notification of the acquisition of the investment promotion certificate or written permit, as the case may be. In this case, such foreigner shall be exempt from the application of this Act, with the exception of section 21, section 22, section 39, section 40 and section 42, throughout the period in which the business in question is under investment promotion or under permission for the operation of the industry or the operation of trade for export, as the case may be. The issuance of the certificate under paragraph one shall be in accordance with the rules and procedures as prescribed by the Director‐General. And thus IPA and IEAA companies are exempted from the restrictions of the FBA by receiving a “Certificate”, nota License, as well. If the drafters of ED2 had wished to exempt the directors of Amity Treaty, IPA, and IEAA companies they could have either included companies holding foreign business certificatesunder Section 4(2)(8) or simply have made that Section applicable to any company that was exempted from the FBA restrictions. However, they did not do that. They specifically limited the exception to companies holding foreign business licensesunder the FBA. Thus, foreign directors of Amity Treaty, IEAA, and IPA companies holding foreign business certificatesare still required to have work permits. This entry was posted in Uncategorized on February 19, 2019 by duensingkippen. In part one on our series on Thailand’s new foreign labor law we explained that the new law allows foreigners to work without a work permit in some limited but significant circumstances. What most have failed to notice so far is that the new law is also very good news for foreigners who are still required to obtain a work permit. 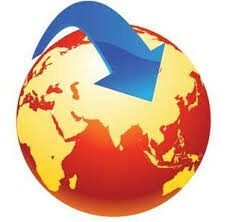 Previously, foreigners who needed to obtain a work permit in order to work were prohibited from doing any work, for any employer, anywhere, and under any such conditions if such were not detailed and, therefore, permitted in the work permit itself. Until last year Thailand regulated foreign work permissions under the Alien Workers Act (2008) (the “Act”). In 2017 the Emergency Decree on Non-Thais’ Working Management Emergency Decree, (2017) (“Decree No. 1”) repealed the Alien Workers Act (2008). Decree No. 1, however, incorporated much of the repealed Act’s provisions and kept in force most of the regulations issued under it. Then, on 27 March 2018, the Emergency Decree on Non-Thais’ Working Management (No.2) (2018) (“Decree No. 2”) was issued. Decree No. 2 amended Decree No. 1. Section 71 of Decree No. 1 (and the Act) provided that “a person who is granted permission for working, and who intends to change or add the following particulars, must obtain permission from the Registrar: (1) type of work (2) employer (3) location or (4) working conditions. 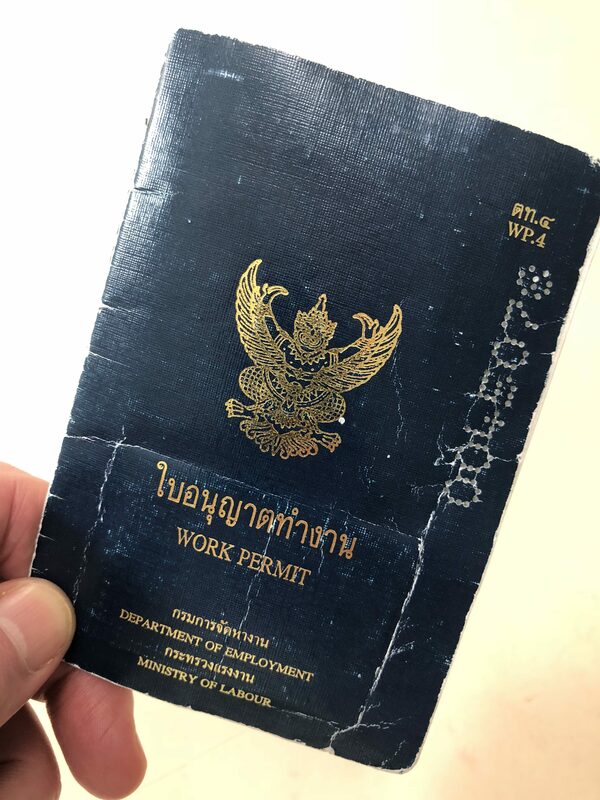 As a consequence, any foreigner who has a work permit in Thailand may now, work anywhere, for anyone, and do any type work, that is not excluded by the Official List. This is a very significant and welcome change to the Thai foreign labor law regime. It is obviously good news for work permit holders in Thailand. And Thailand will also benefit from having made its labor market more attractive to the best foreign labor talent it needs to compete for in the ever increase globalized economy. This entry was posted in Uncategorized on July 19, 2018 by duensingkippen. A Representative Office allows the foreign investor to evaluate potential market opportunities without the need to establish a subsidiary in Thailand. Thus, it provides an interesting “vehicle” for foreign investors who may be considering entering the Thai market. Thailand has recently made the set-up process of such an office more investor friendly. Previously, prior to operating, the Representative Office was required to obtain a “Foreign Business License” because, under the Foreign Business Act (1999) (the “FBA”), its permitted activities were considered a“service” reserved to for Thais and prohibited to foreigners without such exemption.This requirement has been abolished. Under MinisterialRegulation No. 3 “Prescribing Service Businesses Which Do Not Require a Foreign Business License” (2017) of the FBA the operation of a Representative Office is no longer considered such a service. Thus, aRepresentative Office is now permitted to provide its specified services without the need to apply for a Foreign Business License. This is good news for foreign investors who would like to open a Representative Office because the exclusion will now allow for an expedited and more efficient set-up procedure. Reporting on business movements in Thailand to the head office or affiliated company. Reporting of information to any company that is not the head office or its affiliated company. It should also be noted that since a Representative Office is not allowed to generate any income, the operation of the Representative office must be completely financed by the foreign head office. However, financing of the operation received by the head office is not considered to be taxable income. Nevertheless, a Representative Office is still required to apply for a tax ID and submit annul tax returns. This entry was posted in Uncategorized on May 10, 2018 by duensingkippen. hiring them a third time for the next high season from 1 November 2017 to 30 April 2018? The short answer is: “yes, there are” and perhaps the most significant is severance pay liability. Employment matters are generally governed by the Labour Protection Act (1998) (“LPA”). The LPA was largely enacted to protect employees on the assumption that employees are in the weaker of the two positions in their relationship with their employer and, therefore, in need of such protection. This also means that, in any dispute with an employer, Thai labour courts are supposed to interpret the LPA in the light most favourable to the employee. One of the most significant rights that the LPA provides to employees is the severance pay that is due to the employee should he or she be terminated for any reason other than the rather limited “termination for cause” reasons defined by the LPA. The amount of severance that is payable to an employee terminated without such cause increases the longer the employee is employed. c. work which is seasonal and the employment is made during the season. AND whether it is under (a), (b) or (c) above, such work must be completed within a period not exceeding two years and the employer must make a written contract with the employee at the beginning of the employment. Furthermore, although it is recommended, Thai employment contracts generally do not need to be written. However, in order to be qualified as a fixed-term employment exemptible from severance payment, the said contract must be a “written contract”. So what about (c)? Are high and low tourism season employees, “seasonal” employees? There is no definition of “seasonal employment” under the LPA. Thai courts’ interpretation of seasonal employment is still based on Thailand being an agriculture-based country. Therefore, as far as we are aware, the meaning of “seasonal employment” as interpreted by Thai courts has been limited to agricultural seasons, not high or low seasons in the sense of tourism, hotel, or any other businesses. Accordingly, Thai courts do not interpret tourism and hospitality “seasonal” employment contracts as “seasonal employment” under the LPA. Thus, such employees would be entitled to severance pay upon termination pursuant to the LPA. What about at least limiting the amount of severance payable by entering successive employment contracts so that severance liability would only apply to the period covered by the most recent contract? The LPA does not allow for that either. Section 20 of the LPA provides that if the employee has not worked continuously because the employer intended to deprive an employee of any right under the LPA, all such employment periods will be considered cumulative in determining what rights the employee is entitled to. Thus, when there are successive fixed-term employment contracts they are most likely to be interpreted under the LPA as the employer’s attempt to deprive the employee’s right to severance pay for the cumulative term of employment. In other words, our employee in our example above would have the rights of a standard 18-month employee (not a 6 month employee). Therefore, that employee would be entitled to severance pay equivalent of 3 months salary (rather than one month) if terminated “without cause” as defined by the LPA. This is true even if the employment agreement provides for reducing or extending the duration of the employment, or details the “motive” for the employment as “due to seasonal business fluctuations”. The employer under Section 118 of the LPA and its “pro-employee” perspective would still owe severance payment for the cumulative employment period. This entry was posted in Uncategorized on July 24, 2017 by duensingkippen. Thailand’s Ministry of Commerce, by way of its Department of Business Development (DBD), recently issued an announcement regarding the submission of annual statutory audit financial statements by Thai limited companies. Starting in 2016, Thai companies will be required to file their 2015 reports electronically. This new system will replace the previous method of submitting documents by hardcopy. In order to e-file all Thai companies are now required to obtain an official e-filing username and password from the DBD. Any Thai company that does not obtain their user name and password before 30 September 2015 will be required to file BOTH a hardcopy of their 2015 statutory audit by 31 May 2016 AND to file the same electronically no later 30 June 2016. Thus, in order to comply with this new regimen most efficiently, all Thai limited companies should obtain their e-filing username and password by 30 September 2015. Such companies will then be allowed to e-file only their 2015 statutory audit by 31 May 2016. This entry was posted in Uncategorized on September 25, 2015 by duensingkippen. – A More Business Friendly Licensing Procedure in Thailand? Historically, obtaining a desired business license, registration, or other requisite government permission has often been time consuming and incurred arguably unnecessary costs in Thailand. Such inefficiencies stem in large part from the broad discretion government offices are generally given to determine what an applicant must do or provide, to obtain a license, registration, or permission. What is required to obtain a given license at one office at one time may not be the same at another office or even the same office on a different day. Recently, however, the Thai government enacted a law that aims to significantly reduce, or even eliminate, such inconsistencies and resulting waste. The Licensing Facilitation Act (2015) was formally published on 22 January 2015 and it will take effect on 21 July 2015. With a few notable exceptions, including court procedures, environmental regulation, and licensing related to strategic military operations, the Act applies to all licenses, registrations, and permissions that Thai law requires or allows individuals to obtain. It also applies to the government offices charged with issuing the same. The Act requires all other government offices to produce, and make available to the public, a Manual that details the procedure, timing, and specific requirements (including listing all necessary documents that must be provided) to obtain the licenses, registrations, and permissions that they administer. Significantly, once a Manual is in place, Thai government offices covered by the Act will no longer have discretion to deviate from the requirements therein. If, but only if, an application does not meet the requirements in the Manual, an office may refuse an application. However, in such case that office must do so in writing to the applicant within the time required by the Manual. Any such written notice must also explain why the office is refusing the application and detail how the applicant should revise their application to make it acceptable. Thereafter the applicant may resubmit the application. If the office rejects it again, the office must provide reasons for the rejection again in writing. The applicant may then choose to either resubmit its application or file an appeal under the Administrative Procedures Act. The Act also favors business interests over regulatory formality. Under the Act if an application was submitted in accordance with the law, and any relevant regulation, and that law or regulation changes prior to approval of the application, the application remains valid and will be determined under the previous law and regulation. Renewing licenses may also become significantly more efficient. Operators of certain ongoing business activities may be eligible under the Act to renew their licenses by simply paying the renewal fee, without having to file a renewal application. Finally, the Act requires all offices to establish “Service Link Centers” to accept applications, as well as, to provide information regarding what is required by law to apply for and receive any license, registration, and approval, which that office administers. The Act also provides for “One Stop Service Centers” to be established in each province in Thailand. Presently applications for and to renew a license, registration, or approval must be done at the specific government office that issues it. But once established, applicants will be able to accomplish all such applications and renewals at one location dedicated to this purpose. Furthermore, the Act provides for One Stop Service Centers to accept certain applications online. This “mere administrative law” may not appear significant to some. And only time will tell how it will be implemented in practice. However, it is a welcome addition to Thailand’s legal landscape. We believe that, if properly implemented, the Act has the potential to greatly improve administrative efficiency and services, and therefore, make doing business in Thailand easier. This entry was posted in Uncategorized on June 4, 2015 by duensingkippen.